I was drawn to Changing the Face of Beauty after seeing an article published on People. It was my “ah ha” moment. I’ve been a retailer for several years and sadly, never once did it dawn on me to include models of all abilities. It instantly seemed like the right thing to do and I was frankly ashamed I hadn’t thought of it sooner! 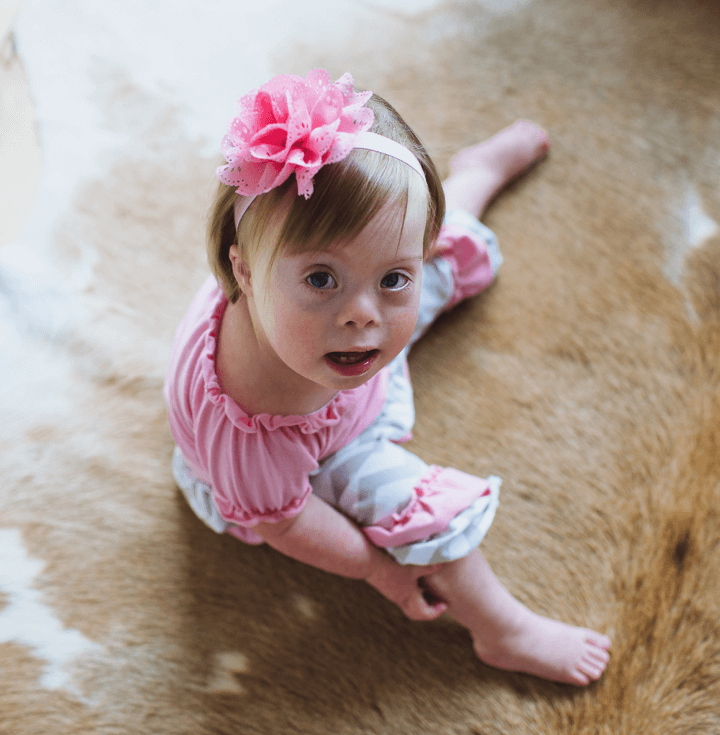 While I was in the planning stage of finding models to include in our campaign, I was contacted by a wonderful mother of an adorable little girl with Down Syndrome. Her timing was perfect and we sent her items to have her daughter photographed in. God certainly had a plan for us to cross paths at that exact moment. What I’m most pleased with is that it’s shown me how receptive our audience is to seeing a model who is differently abled. The response has been overwhelming and people are so excited to see her. Every time she is featured, the comments come swarming in and I just love to read them. It’s proven to me that there’s still good in the world and I’m proud to say that those good people are our customers. Our model, Adele, actually lives in Canada and we are a US based business, so we sent her items to her to have photographed in her location. We are working on finding local models to incorporate into our group shots and can’t wait! We want our customers to know that every child is special. What is special about one child is different than what is special about another child. There’s no “bad” way to be special. Children that are differently abled are special in a good way, just like children who society deems as special because they are smart or funny or beautiful. These children’t should not be treated any differently and they deserve to be represented everywhere, just like other children. This campaign has shown me that our customers agree. Love your company! If you need more models my beautiful little Aria has Down syndrome and I would be honored to have her sport your gear :)! this is such a beautiful thing. You should be proud of your decision to do this!